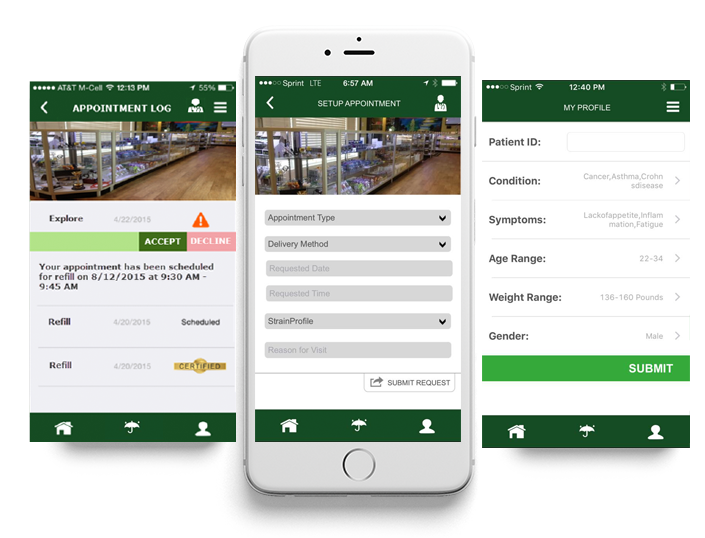 The Patient Portal is an innovative and powerful marketing tool, enabling dispensaries to connect with each patient through educational content, messages, alerts and invitations. These connections are personalized based on the patient's ailments, conditions, preferred products, engagement and purchase history. 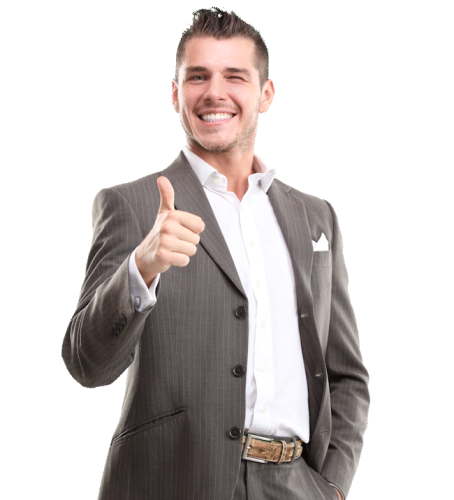 View and communicate directly with all your customers. You have the ability to 1. send and receive direct mail from your dispensary, 2. send promos, coupons and notifications, 3. list all of your products and allow patients testimonials and, 4. know when an app user is in your store, all while promoting your dispensary and patients testimonials. The Control Panel is at the heart of the application. You determine all the promotions, notifications and communication within the community. You set all the preferences and how the user sees and uses the app. Complete control of your brand identity and image. You set the image and your logo so all patients are connected to your brand everywhere they go. Gaining the mental and physical benefits of cannabis is largely dependent upon how it’s consumed, with each method, and cannabinoid profile providing a unique experience and host of effects. Who knows — you could find a new favorite. Let the exploration begin! There are five basic delivery methods: inhalation, edible, suppository, tinctures and topicals. With the MDherb you can see what patients with your ailments or conditions say about certain products and also allow you to view detailed products information, multiple product images, detailed cannabinoid testing profiles, patient feedback ratings and even if it is in stock or out! 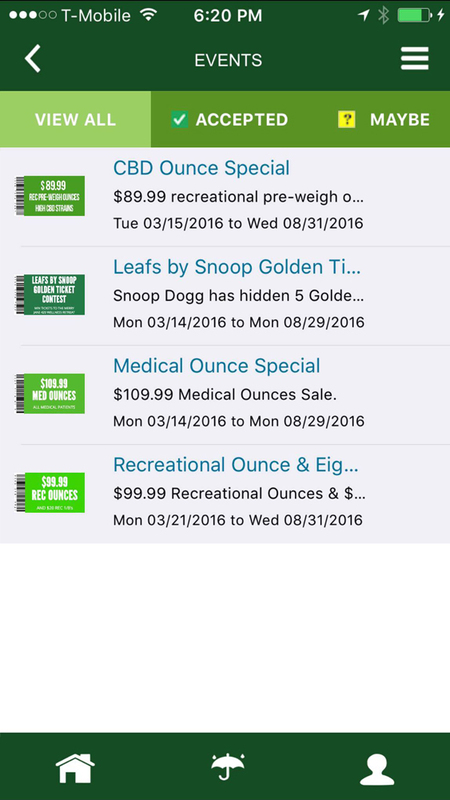 Patients can enter details about medical cannabis consumption, then search and share those results with other patients. 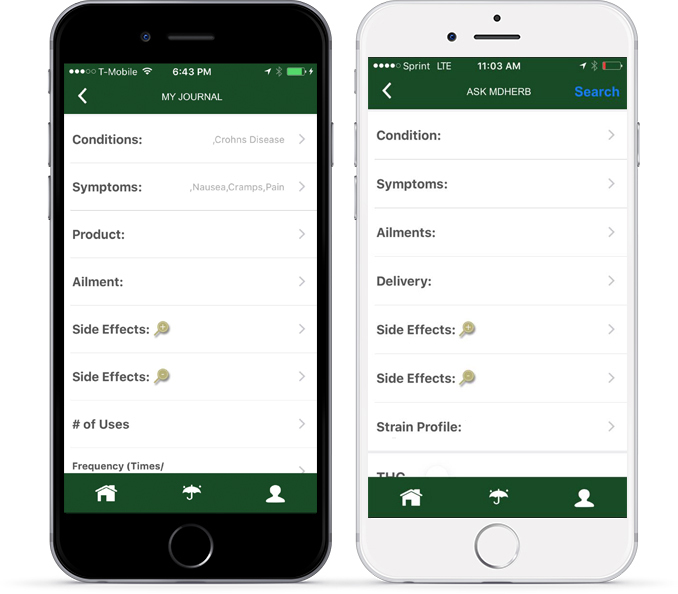 The “My Journal” and “Ask MDherb” features allow patients to keep an ongoing history of their cannabis use for various their conditions and ailments. As the patient enters more data, trends of which products help them will become more apparent, narrowing down just what they need to purchase from your dispensary. This information can be referred back to for personal use and shared with other patients for comparison and recommendation help. 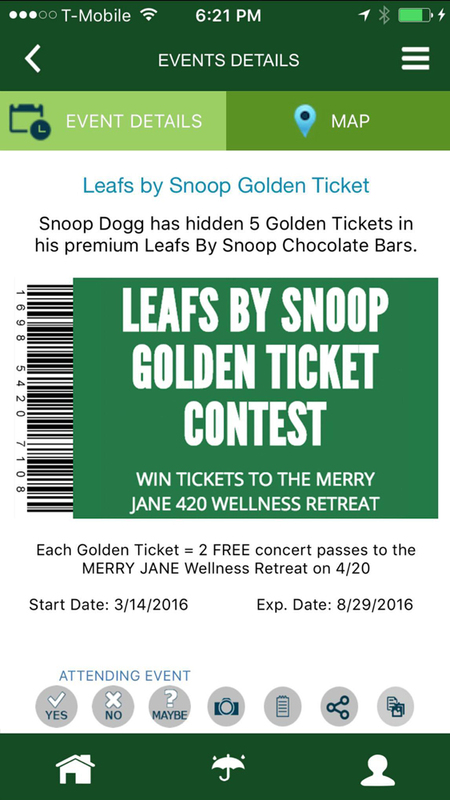 Each patient’s entries will be entered anonymously into a searchable database so other patients and even your own dispensaries staff can use the application to see which products have helped with specific conditions similar to theirs. 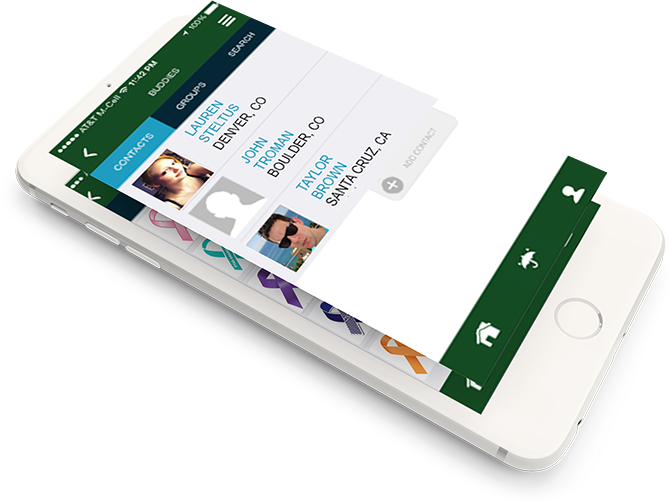 With The MDherb App, patients can contact other patients based on coditions, radius, and/or username. 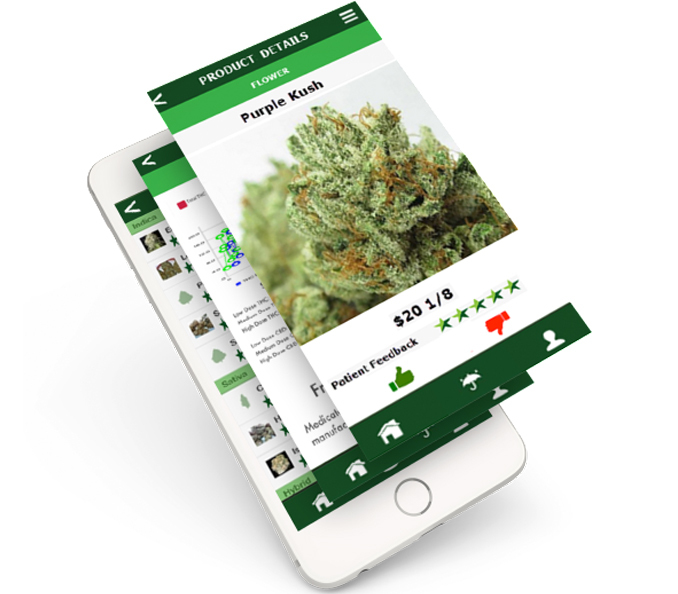 The “Buddies” feature allows any patient using the application from any dispensary around the globe to communicate with other patients about their medical cannabis experience. Patients can connect with one another based on condition, geographical location, or directly through username. Communication can be one-on-one and very personal or in a group chat setting, all while allowing the patient their proffered level confidentiality through the protection of a username. The “Buddies” feature can be used solely for factual medical cannabis information from other patients but, it has the potential to be a place where patients find emotional support from others just like them. This feature can take medical cannabis use to a personal level and allow patients to build a safe online support community where information, photos, and help can be shared. Patients can let you know why they are coming in and when. 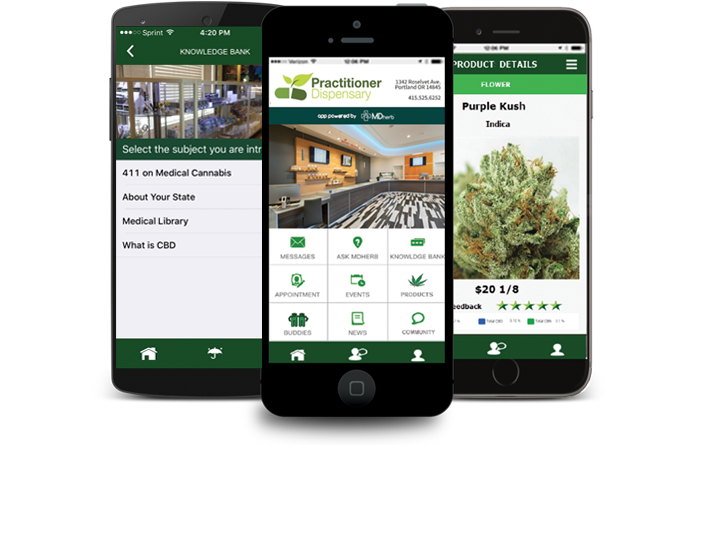 The “Appointment” feature is linked with the “My Profile” feature of the application and together they allow patients to set up an appointment with your dispensary at their leisure. Not only does this cut down on wait time for the patient, but it allows your sales staff to be prepared to educate and serve each patient specifically. Patients will be able to set the appointment time and date while also letting you know who they are and the reason for their visit. 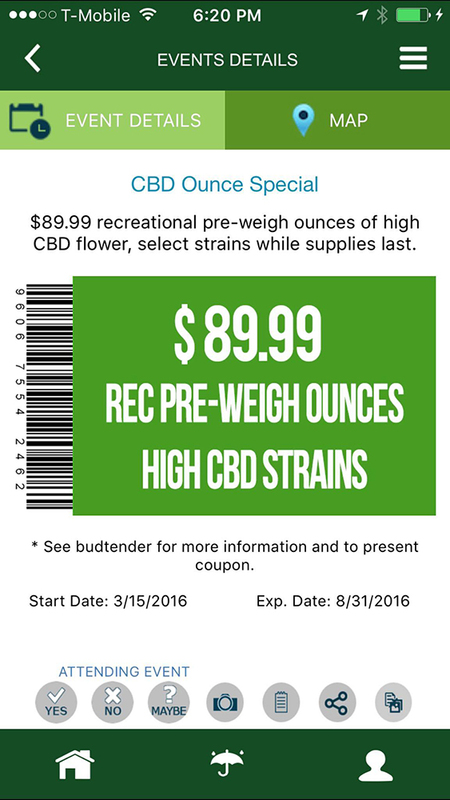 It may be as simple as a re-order or it could be for new information pertaining to their specific medical cannabis needs; either way, your staff will be ready. When a patient requests an appointment, you will get a notification and have the choice to accept, decline, or propose another time. Once the appointment is confirmed, it will be loaded into the patient’s app calendar and personal cell phone calendar if they choose. On your end, a master calendar will show all requested and confirmed appointments. 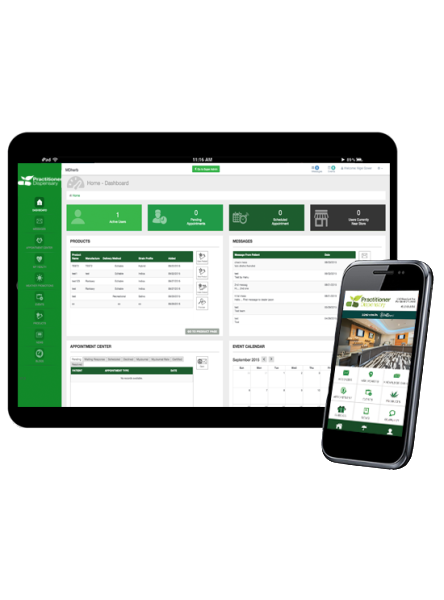 This feature makes helping patients easier and truly streamlines the point-of-sale transaction. I have been a patient now for 15 years, and I have never had the ability to create a medical cannabis journal. Now I am able to remember what did and didn't work for my symptoms and I was able to share that information with my cancer support group! 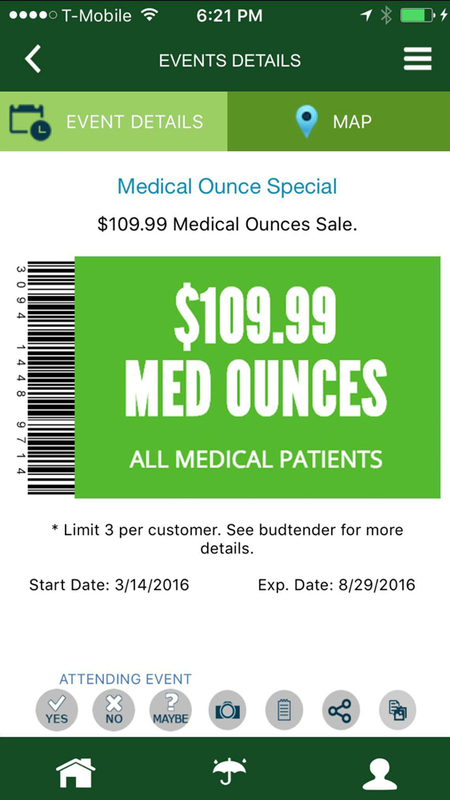 Sign Your Dispensary Up for The MDherb App Today!